For a long time I didn’t either. I would do a short meditation and take quick deep breaths if I felt stress but I really wasn’t consciously aware of how I was breathing. It was actually through the process of being in pain that I became aware of the lack of air I was taking in. Not being aware is natural if you’re feeling the fight or flight response which people who are having pain or other discomfort like IBS often feel. Why is breathing important? Scientific studies have shown that correct breathing can help manage stress and stress-related conditions by soothing the autonomic nervous system. When we are stressed we tend to do shallow breathing as a typical stress response which deprives our body of a necessary function: our cells need oxygen and their waste product, carbon dioxide, needs to be expelled. Without it we are in a state of hyperventilation that can prolong anxiety and stress. When I realized how little air I was taking in it gave me a greater awareness of my body as a whole. It also gave me a greater awareness of how I was living my life. When you are breathing small everything feels very big. Even the most basic life events can be stressful. When you learn to breathe big you actually live your life with less of a focus on pain and fear. And that makes it easier to really experience life and go towards your goals regardless of what’s happening mentally or physically. But to get to that place you have to start with awareness. It can be challenging at first because we think we are aware. However, when you cultivate true awareness of how your body is functioning in the role of your mind it becomes easier to go from breathing a little and meeting the basic requirements of living to breathing fully and creating what you really want. I have tools in my e-book Listening to Your Gut: Connect With Your Body and Get IBS Relief that can help you cultivate awareness and develop techniques for healthier living. To help you get started I’m going to be sharing a video in my next blog that gives you really simple breath techniques that can make big changes in how you feel about your IBS symptoms and letting go of stress. I’d love to hear any questions you might have about breathing or the success you’ve had with it. Any questions or feedback will be helpful in sharing the breathing techniques in the next blog. 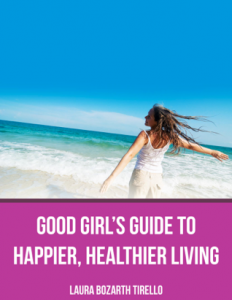 This entry was posted in Good Girls Health and tagged breathing techniques, crohns, irritable bowel syndrome, mind body connection, pain relief, stress reduction, stress relief, yogic breathing. Bookmark the permalink.